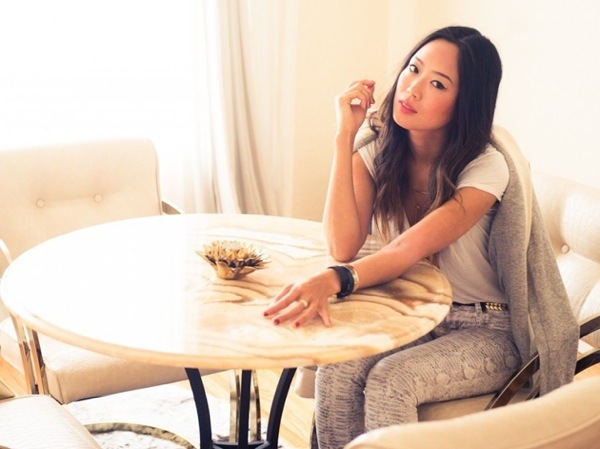 Aimee Song (Aw-me Song), a Los Angeles native, is a full-time interior designer…with a peculiar “hobby.” When she is not hard at work decorating spaces for her clients, she becomes the trendsetting fashion blogger behind Song of Style, attends high-class industry events, and jetsets throughout the world. 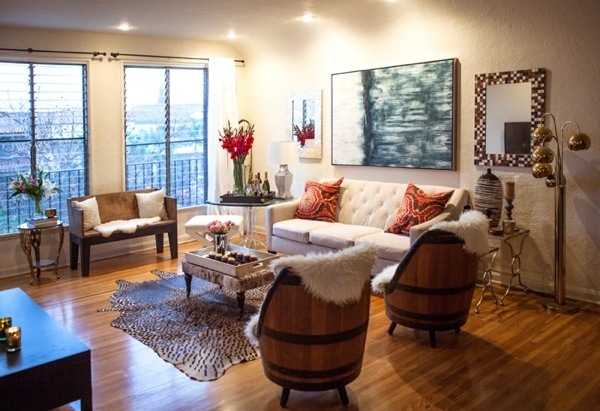 Aimee started out in the blogging world with interior design, as she made some of the furniture in her Los Angeles apartment from scratch (maybe in order to fit and organize her many clothes). However, it quickly collided with fashion and is now, Song of Style: A Fashion & Interior Design Blog, which is now a constant and envious source of inspiration for thousands of followers. There, she illustrates her innate sense of style that can be qualified as modern, minimalist, urban and rocker, yet always adds her own touch to uphold her signature look. Her international travels helped her define her style even more, and she often incorporates classy French touches inspired mostly by Isabel Marant. Still a California girl at heart, Aimee also showcases her playful side by mixing colors, prints, and textures. Lastly, she notably manages to combine high fashion items with affordable and everyday ones. This helps prove one of her fashion statements that style does not necessarily have to hurt your wallet. One of the things Aimee is most thankful for is that through blogging, she has the opportunity to meet prominent people with which she keeps in contact and sometimes even designs spaces for. She swears by Instagram, and finds it to be a suitable way to update her outfit photos and keep up with her followers and friends. One last piece of advice she often gives is to be consistent, original, and yourself…even though trying to be like her is tempting! Previous Previous post: Eventful, Entertaining & Extravagant!